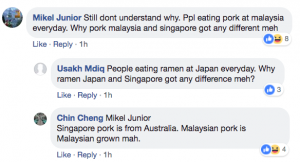 What could have driven these two Singaporeans to smuggle bak kwa from Malaysia to Singapore, who unfortunately were stopped by the Immigration and Checkpoints Authority (ICA) at Woodlands Checkpoint? 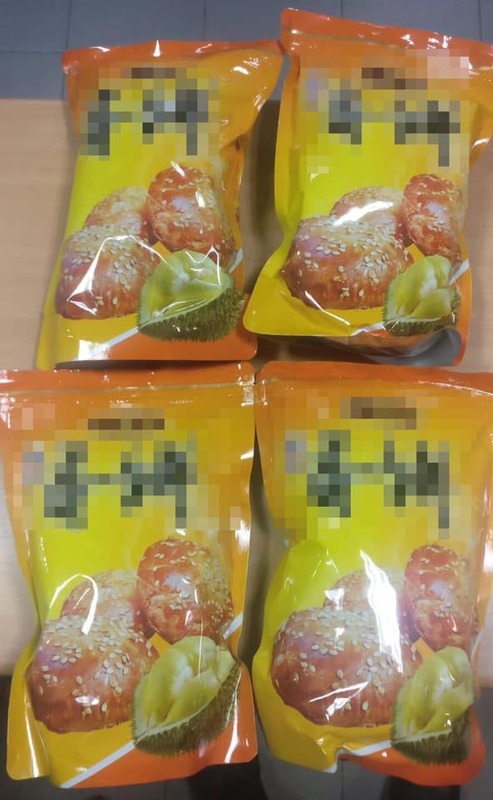 In two separate cases, ICA officers intercepted bak kwa or barbecued pork hidden inside packets of durian-flavoured biscuits meant to be smuggled into the island at the arrival bus hall. The cases were referred to Agri-Food & Veterinary Authority of Singapore (AVA) for further investigation, according to ICA. “Food products brought into Singapore must meet AVA’s guidelines and must be from approved sources. With ICA just doing their work, they maintained that the borders are the first line of defence in safeguarding Singapore’s security. “The ICA will continue to conduct security checks on passengers and vehicles to prevent the illegal importation of undesirable goods,” ICA posted. AVA, a statutory board under the Ministry of National Development, regulates food safety, safeguards animal and plant health, and facilitates the agri-food and fisheries trade sectors. 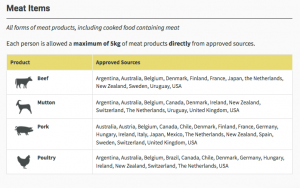 A maximum of 5 kg of meat products for each person is allowed, provided that it was directly from approved sources. Based on the table provided by AVA, Malaysia is not one of the countries as approved sources. According to the Wholesome Meat and Fish Act (Chapter 349a), the maximum penalty for importing meat products from unapproved sources is $50,000 and/or imprisonment of up to two years. In the case of a second or subsequent conviction, the offender is liable to a maximum fine of $100,000 and/or imprisonment of up to three years. ICA officers have been catching smugglers trying to bring in prohibited food and products to the city-state. In February last year, two people were also caught smuggling bak kwa concealed in pastry or cookie packaging in Woodlands Checkpoint. Other smuggled products coming from Malaysia, Indonesia, and other countries apprehended by ICA include duty-unpaid cigarettes, tobacco, and poultry produce. Others also attempted to smuggle live dogs and cats. 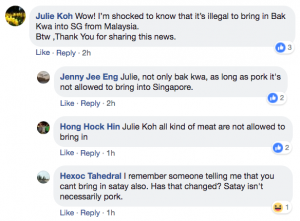 Netizens’ perspectives on this news got “meaty” and “jerky” for there were some speculations as to why Singaporeans tried to smuggle bak kwa from Malaysia, when one can buy bak kwa in Singapore. The taste and the price came out to be the online public’s answers. Unfortunately, there were still who did not know about the prohibitions. But this one online user turned out to be very specific in what might be brought in.